At first glance, writing a will may seem very easy. You know what assets you have, you know who you’d like them to go to after you pass away, and all you have to do is write it down. While this is the most basic way to write a will, the process can become a bit more involved than that. In addition, Pennsylvania has a few laws regarding a person’s estate after they pass away. It’s important that everyone knows the basics about creating a will in Pennsylvania, so they can decide what happens to their estate after they pass away. A person’s last will and testament, more commonly simply called a will, has many purposes. It allows an individual to leave property and other assets to specific people, or even organizations after they pass. A will can also specify what is to happen to property and other assets if the named beneficiaries pass away first. A will also allows a person to name a personal guardian for any minor children. If there is property or other assets meant as part of the children’s inheritance, a will can also name a trusted person to manage that property until the children are adults. A will can also outline a person’s wishes for their final arrangements, including what they would like at their funeral, if they would like to be buried, and where. This can ease the burden for grieving loved ones, both emotionally and financially. Lastly, a will also names an executor. This is a trusted person that will ensure the terms of the will are carried out. When a person passes away without a will, their estate will be distributed according to Pennsylvania’s intestacy laws. These laws allow the courts to divide up a person’s property and assets. Most often the courts will give the property to the deceased’s closest relatives, such as their spouse and children. When there is no spouse, and the deceased did not have children, assets will be given to the next-closest relative. This is often the grandchildren or parents of the deceased. The courts will continue to divide the assets this way, moving on to increasingly distant relatives when appropriate. Once the court exhausts this list and finds the deceased had no living relatives, the state will take the property. This is one reason creating a will is so important. 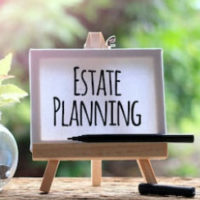 Even when a person has no living relatives by blood or marriage, they may still wish to leave assets behind to a specific person or organization, such as a charity. Many people believe that in order to have a proper will, it must be notarized. While this is not necessary, having a notarized will can have its benefits. After a will has been notarized in Pennsylvania, it is considered a self-proving will. Self-proving wills can expedite the probate process, as the courts will not need to contact the witnesses that signed it. This is due to the fact that when a will is notarized, the witnesses and the person that created the will sign an affidavit in front of a notary. This provides proof that the will was signed, and that all parties were aware of who signed the will. In Pennsylvania, it is not required for those wishing to write a will to get the help of an estate planning attorney in Scranton that can help them do it. It is however, still highly recommended. Individuals often think that writing their last will and testament will be very simple. Only once they start writing it, they find it’s much more complicated than they believed. Trusts may need to be created, and this is something that software and fill-in-the-blank kits simply can’t do. An attorney can be very helpful in these situations. An attorney can also help a person plan for their entire estate, of which a will is only a small part. Attorneys can advise on powers of attorney, living wills, and other documents that sometimes prove to be even more important than a will. If you would like the peace of mind an entire estate plan can bring, call Haggerty, Hinton & Cosgrove, LLP today at 570-344-9845. We will advise on the most important aspects of your estate and help you plan for the future.